This is a business which Allotts are well equiped to carry out. 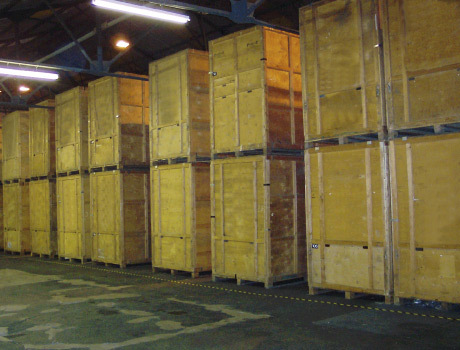 We can offer both conventionsl and containerised storage to suit your requirements. Container Storage: Before leaving our depot to come to your home, our staff will load storage containers by forklift truck onto our purpose built removal vehicles through side opening doors. Goods brought in loose on our vehicle and then put into storage containers. When we arrive at your home to commence loading, an inventory will be taken of everything to be stored. All items will be carefully wrapped in woolen blankets whilst being loaded into the containers. Once the containers are loaded, the container numbers will be entered onto the inventory sheet and a copy will be given to the customer.